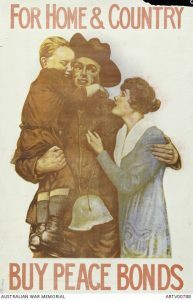 With next year (2018) being the 100th anniversary of the end of WW1, we would like to collect stories of how families spent those war years while their son, daughters, mothers, fathers, brothers and sisters were serving. What was it like for the family at home? What sort of celebrations were held in our community. We’d love to receive your memories either by email ([email protected]) or in the post (PO Box 153, Surrey Downs, SA 5126).